This close up picture of a moose grazing on private property in the town of St Lunaire-Griquet, Newfoundland is a rarity. 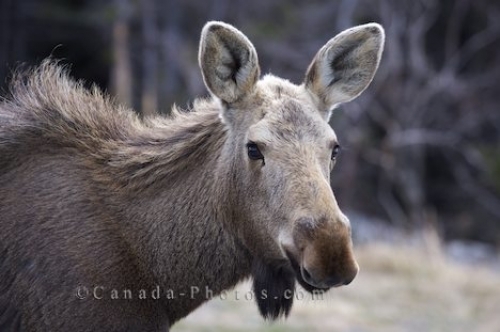 The moose did not seem too concerned that we were photographing him as we get a good look at his large ears atop his head and the tuft of hair under his chin that resembles a beard. Picture of a moose at close range on a private residence in the town of St Lunaire-Griquet in Newfoundland, Canada.